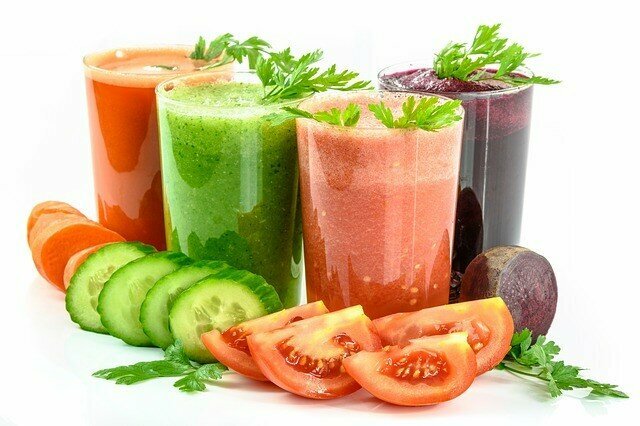 Juicing is a healthy practice that has allowed millions of people to boost their nutrition. Juicing fruits and vegetables (especially cruciferous vegetables) provides you important antioxidants, which scavenge for oxygen free radicals that can damage cellular structures, including DNA. When DNA is damaged, it can result in mutations that lead to cancer. When juicing is done right, that is when the majority of your juice blends are comprised of vegetables and very low-sugar fruit best for juicing, you can easily boost your nutritional intake thereby improving your health and lower your risks for cancer. There are several raw vegetables that are especially recommended to be on your juicing ingredients list for reducing risks for various types of cancer. Many also utilize these vegetables as a support in fighting cancer once a diagnosis has been made. Of course, no scientific evidence exists that juicing or eating these vegetables can cure cancer, or guarantee that you will never get it, but it is true that healthy, nutrient-rich juices can boost immunity, promote energy, which is often drained during cancer treatments and boost your overall health. Furthermore, scientific research has found promising results in certain vegetables playing a key role in cancer prevention. Cruciferous vegetables are part of the Brassica genus plant family and are amonth the most nutritious vegetables to juice. These vegetables are rich in key nutrients, including carotenoids, such as lutein, beta-carotene, and zeaxanthin. They are also rich sources of key vitamins, including vitamins C, E, and K along with folate and minerals. Broccoli contains high levels of sulforaphane, a very potent compound that increases the body's protective enzymes and flushes out cancer-causing chemicals. Juice the whole vegetable, including the stems, leaves, and florets as they hold key nutrients. In addition, sulforaphane selectively targets cancer stem cells that may prevent cancer from spreading or even recurring. Cabbage juice is probably not the tastiest on its own, but can be added to delicious cancer fighting blends that include, kale, green apples, berries, and beets. Kale is rich in important nutrients, such as lutein, zeaxanthin, vitamins C, E, and K; folate; and minerals. Kale also contains glucosinolates, or sulfur-containing chemicals. While the folate found in kale does not have a direct impact on cancer treatment, it does help to reduce the risk of complications from cancer and its treatment by lowering risks for heart disease. Kale and beets are rich sources of potassium, which is an electrolyte that helps regulate fluid in the body, move nutrients into the cells, and remove waste from cells, and supports the communication between nerves and muscles. While potassium does not have a direct effect on preventing cancer, it may be beneficial depending upon medications that are prescribed during cancer treatment and side effects that result from treatment, ask your doctor. While human studies have shown mixed results, it is 100% safe to say that kale is a nutrient rich plant food that is 100% recommended as part of a daily balanced diet and should the cancer fighting promise materialize that is just icing on the cake. Kale juices great, and blends wonderfully with many different nutritious fruits and vegetables. It may be an acquired taste for some, but adding lemon or lime juice, and a green apple to kale makes it very tasty. Carrots contain natural compounds, poly-acetylenes that are only found in carrots and ginseng and that protect the plant from pests and disease. Various tests have shown poly-acetylenes to fight inflammation and cancer and reduce cancer growth in rats. Carrots also contain beta-carotene, alpha carotene, vitamin E, and other cancer fighting nutrients. Carrots are higher in sugar than green vegetables, so watch your juicing intake. Carrot juice blends great with kale, cabbage, and green apples. These colorful purple gems of nature contain betacyanin that researchers believe could protect against the development of cancer cells, and may possibly reduce risks for inflammation, which promotes malignancy. Beets are wonderful for juicing and a great blend is 3 small beets, 1 cucumber, 1 handful of spinach and an orange. Turmeric contains curcumin that is believed by experts to have exceptional anti-inflammatory abilities, which makes it effective for fighting cancer because most diseases are caused by and thrive under a state of chronic and long-term inflammation, according to a biochemist at The University of Texas M. D. Anderson Cancer Center, Bharat B. Aggarwal, PhD. Recent studies found curcumin to interfere with cell-signaling pathways that suppress the transformation, proliferation, and invasion of cancer cells. According to Cancer Research UK, curcumin was found to stop pre-cancerous changes to becoming cancer when given to 25 patients with pre-cancerous changes in different organs in a phase 1 clinical trial. Analytical research has found that certain type of cancer rates are lowest in countries where curcumin is consumed at levels of about 100 to 200 mg a day regularly. Garlic is a vegetable that's part of the Allium class of bulb-shaped plants that also features leeks, onions, chives, and scallions. Garlic contains an unusually high amount of sulfur along with flavonoids, arginine, oligosaccharides, and selenium. Garlic's pungent odor and flavor stems from the sulfur compounds, which are formed from allicin, a major precursor of the bioactive compounds in garlic formed when garlic cloves are crushed or chopped. These bioactive compounds are defined as elements in food other than those needed for basic nutrition, but are responsible for changes in health. Numerous population studies conducted in China that centered on intake of garlic and cancer risk have found a strong connection between garlic and lower cancer rates. One of these studies, found that regular and frequent intake of garlic reduced risk for esophageal and stomach cancers and risk factors grew with higher consumption levels (Gao, Takezaki, Ding, Li, Tajima, et al). Another one of the studies in China found that high intake of garlic and onions reduced risk for stomach cancer (Setiawan VW, et al). Yet another study found that the greater the intake of garlic and scallions, meaning more than 10 grams daily versus less tha 2.2 grams per day was associated with about a 50% reduction in prostate cancer risk (Hsing AW et al). A study in France found that higher intake of garlic was linked with a statistically significant reduction in risk for breast cancer. A study conducted in the San Francisco Bay area (Chan JM, Wang F, Holly EA.) discovered a 54 percent lower risk for pancreatic cancer in people who had a high intake of garlic versus those who ate much less. In a process called apoptosis, cancer cells kill themselves without harming surrounding healthy cells. In another process known as autophagy, cancer cells are duped into digesting themselves as described by J. Rebecca Liu, an assistant professor of obstetrics and gynecology at the University of Michigan doing extensive research on ginger's effects on ovarian cancer cells. While only preliminary, and animal and human trials are still needed, the research is promising because patient's with ovarian cancer develop resistance to chemotherapy drugs, so ginger’s ability to kill cancer cells in more than one way may prove useful. The Comprehensive Cancer Center at the University of Michigan Health system does not recommend ginger supplements, but does recommend fresh ginger in dietary form not only for its potential cancer fighting role, but also because it is healthy in other ways and works great for nausea. Peel a small piece of fresh ginger with a spoon and add to your juicer, typically a 1” inch piece is more than enough. While ginger does not produce a lot of juice, it does add a lot of flavor so a little goes a long way. Caution: Avoid excessive amounts if you take blood-thinners or diabetes medication, and be sure to ask your doctor. Get your FREE copy of The Healing Art of Reflexology mini-course! Numerous studies have suggested that polyphenols and especially resveratrol is a powerful antioxidant that in lab studies has prevented particular damage known to trigger the cancer process in tissues, cells, and animal models. Contain cancer fighting phytochemicals, ellagic acid, and anthocyanins. The Institute reports that cell studies of these compounds showed these nutrients to decrease the growth of cancer cells and also to stimulate self-destruction of breast, prostate, mouth, and, colon cancer cells. Centrifugal juicers cannot juice berries and grapes, but masticating and singer-auger juicers can. Watermelon has loads of lycopene, one of the more potent antioxidant shown in research to protect against prostate cancer. Juicing watermelon depends on your juicer model; check the manual to see how much prep is required, for example if the skin should be removed. The peach gets is bright orange color from beta-carotene that helps to reduce inflammation, protect DNA, boost immunity function and plays a key role in controlling cell growth in a way that reduces risks for cancer. Strawberries contain ellagic acid, a key phytochemical in decreasing growth of cancer cells and stimulating soft-destruction of cancer cells, such as those in the breast, colon, prostate and mouth. Strawberries are more difficult to juice, depending on the model of your juicer. If you have a smoothie maker you can use that or mash them up and add them in after your main juice is ready; this also allows you to get more fiber intake from these healthy berries. A food processor or blender works great too. Strawberries go great with a kale, broccoli, and spinach or any greens. Apples juice great and are a fantastic complimentary flavor to many vegetables. Check your juicer’s manual on necessary prep required as they do vary, for example, some allow you to add a whole apple down the feed chute, while others require cutting. Choose green apples, as they are lowest in sugar. Lemons and limes are great additions to your juice blends as they add fresh and tangy flavor and enhance the flavor of green vegetables, especially for those who do not find them palatable. Hot peppers can be juiced if you like spicy flavor. Fresh mint is a wonderful flavor for most any juice blend. You can stir in any spice you like once your juice is ready. Many herbs, like basil, and oregano can be juiced to get flavor and their respective health benefits. Add ice to make a more cool and refreshing drink. Some juicers allow you to make frozen drinks, a great idea for summer. Look up recipes online or in books to add variety to your juicing habit. Experiment with different fruits and vegetables to find you favorite blends. This is key is sticking with this healthy new habit! Approximately 88 percent or more of all your juice blends should be vegetables, and 20 percent or less fruit. Generally, best juicing practices prescribe the use of more vegetables than fruits as fruit is high in sugar. since it takes much more of the fruit to juice as it would if you were eating fruit whole, those who get into the habit of juicing more fruit than vegetables can easily triple or quadruple the recommended daily sugar intake for adults, not to mention calories with just one glass of juice. 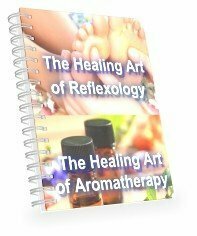 Get your FREE copies of The Healing Art of Aromatherapy AND The Healing Art of Reflexology mini-courses! As part of your cancer fighting juicing diet, you should not eat any poultry, fish, meat, or dairy products. Cooked foods such as these prevent the immune system from maximally fighting off cancer cells. Instead, the immune system must spend its time dealing with the effects of cooked foods, pesticides, chemical supplements, fungicides, herbicides, toxins, and the hormones found in meat and dairy products. This prevents the immune system from fighting off cancer cells. Of course, you should consult with your doctor before making any dietary changes. Don’t eat a lot of fruits or vegetables that contain a lot of sugar unless they are one of the cancer fighting fruits and vegetables listed above. Carrot juice, for example, has a lot of sugar in it that is easily taken up by cancer cells. Along with the sugar, the cancer cells take up the cancer fighting nutrients from the carrots and are killed by the nutrients. Juicing can be beneficial as a way to combat cancer when you already have the disease. When you are being treated for cancer, things like digestive issues, chewing, and swallowing are already problems you may be dealing with. By juicing fruits and vegetables, you do not have to chew your food and the food is easily digested. You shouldn’t go on an exclusively juiced diet, however, because it can result in weight loss, which is already a problem in people who have cancer. Besides juicing, you should be eating at least five servings of whole colorful fruits and vegetables daily. You can eat these fruits and vegetables whole or juice some of them if you are having problems with digestion or swallowing. Ideally, though, you should be eating the first five servings of fruits and vegetables, only juicing those you eat beyond that. Eat more vegetables than fruits. Vegetables contain the most cancer fighting phytonutrients so you should focus on those. You can add fruits to sweeten the juice but it should not make up the whole of the juice. Drink the amount that you would eat. If you are eating carrots, for example, it takes about 4-6 large carrots to make up to 8 ounces of carrot juice. This is a lot of carrots and more than you would likely eat if they were eaten whole. Only juice a couple of whole carrots at a time. Add protein and fat to your diet. Along with your juice (or in it), you should have some protein and healthy fats. This could mean that you eat yogurt with your juice or that you eat a handful of seeds or nuts. Eggs are also a good source of protein. These can be juiced or eaten whole and contain many cancer fighting phytonutrients. Try eating at least 3 servings of cruciferous vegetables in your diet every day.